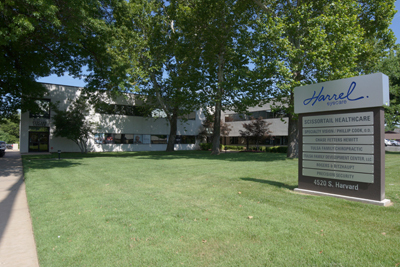 With offices in Tulsa, Harrel Eyecare has been serving Northeast Oklahoma aka “Green Country” for more than 14 years. Call us to make an appointment with our South & Downtown Tulsa eye doctors to talk about your eyeglasses, contact lenses or specialty lens needs. You are also welcome to drop in anytime to browse through our large selection of designer eyeglass frames and sunglasses. In the historic renovated Kendall Whittier District, across from the Circle Cinema, and south of Zieglars Art Supply, we are in the large red brick building that was formerly the post office at 1st & Lewis. We are proud to be part of the rejuvenation of the Kendall Whittier District. This location is easily accessible just east of downtown, close to TU, and surrounding areas.